ICACH lab has contributed in the technical examination of Caterina’s Cornaro portrait. A cross-disciplinary study of an important painting, attributed to the circle of Titian, of Caterina Cornaro, the last Lusignan Queen of Cyprus. The Cyprus Institute, specifically STARC and its Art Characterization project team, led the scientific study of the painting. See below for an invitation to the event or visit the relevant website at the Leventis Municipal Museum of Nicosia. The information is also posted in the events page on our website. via The Secrets Of A Royal Portrait – The Cyprus Institute. 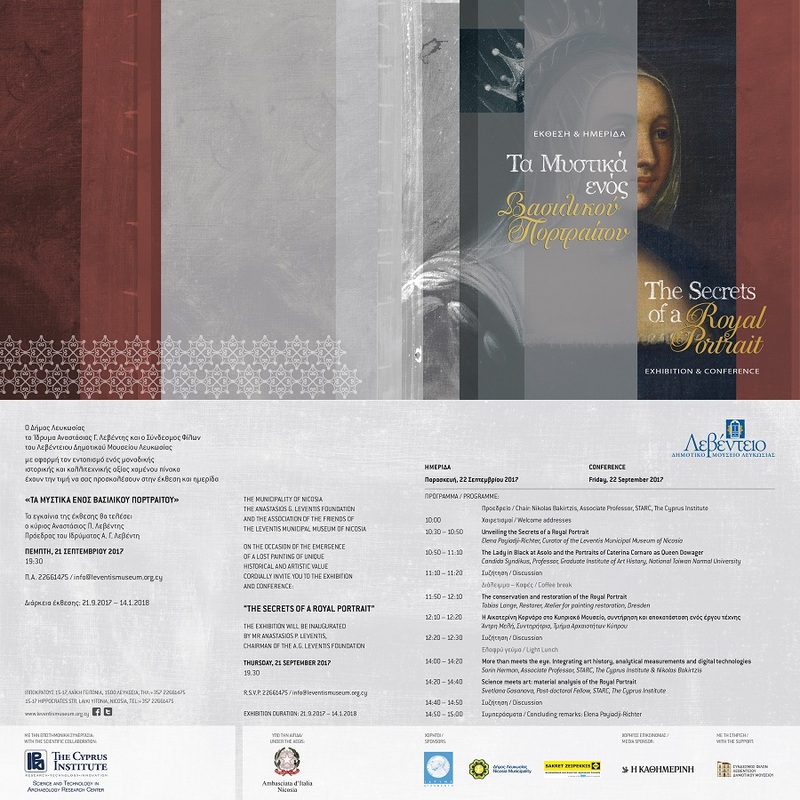 The Secrets Of A Royal Portrait – The Cyprus Institute by ICACH is licensed under a Creative Commons Attribution-NonCommercial-NoDerivatives 4.0 International License.